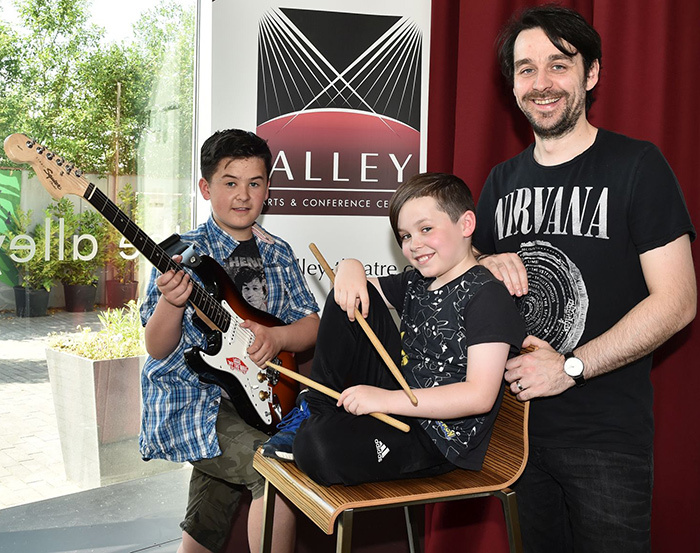 The Alley Theatre have launched its Summer School of Rock inviting kids aged seven years and above to unleash their inner rock star and sign up to a five day summer programme running from 17th until 21st July at the Alley. During the five day programme children will receive music lessons from professional teaching staff. There will be lessons on guitar and drums, singing and song writing, music reading and rhythm games. Kids can learn and explore musical and technical requirements for stage, lighting and sound from the stage technical staff at the Alley Theatre. They will also have a chance to dabble in recording, digital uploading and have the opportunity to perform live in front of family and friends in the perfect rock’n’roll setting – on stage at The Alley Theatre. The course is designed to nurture confidence and bring out the best in young people both on and off stage. It intends to encourage creativity, effective communication, planning and build on teamwork skills while ensuring a great deal of fun is had by all! The programme may also provide opportunities for participants to perform in upcoming productions of the Arts Academy. The Summer School of Rock is delivered by the creative production team of The Arts Academy, who are the creators of the highly acclaimed and sellout shows; ‘Balo Balo’, ‘Gutz’, ‘Mulan’ and ‘Spook House’ and will be facilitated by Gerry Strawbridge and David Oliver. Registration to the Summer School of Rock costs £50.00 with discounts available to those booking two and three children as part of a group. A light lunch will be provided every day. For more information visit The Alley Theatre’s website at www.alley-theatre.com or telephone 028 7137 4444.